September is the month of premiers and being an avid television fan I’ve decided to give several shows a shot. 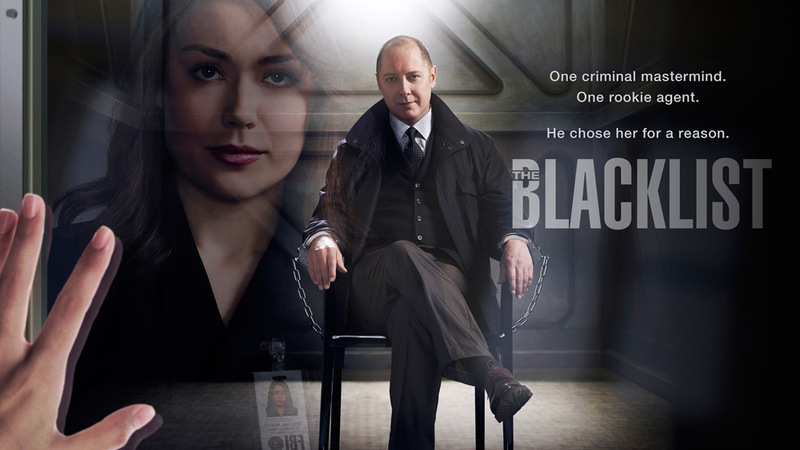 Last night, I watched the pilot of “The Blacklist” with James Spader and boy could I not have been more disappointed. “The Blacklist” tells the story of Raymond “Red” Reddington, yes, that’s his name, a notorious F.B.I. agent turned criminal rogue who is a criminal mastermind, pulling all the strings. In the pilot, Reddington turns himself into the F.B.I. and demands that he only speaks to Elizabeth Keene, played by Megan Boone, a newbie F.B.I. profiler whose first day is lo and behold on the same day that Reddington wants to talk to her. Much to the chagrin of F.B.I agent Harold Cooper, played by Harry Lennix, and F.B.I. agent Donald Ressler, played by “Homeland” star Diego Klattnehoff. Annnnnd that’s about as far I got into the show, for several reasons. One, being the unrealistic nature of it. When the F.B.I. is told that Reddington will only speak to Ms. Keene, they end up having about 4 cars drive to her house and a military helicopter circle over the roof of her apartment nearly clipping it and recreating a scene from “Black Hawk Down”. Really? 4 cars wouldn’t have done it? A helicopter needed to be thrown into the mix. When Reddington is finally handcuffed and interrogated, he is placed in a specially made robotic jail cell, with a moving platform that extends him outside of his “box” to allow him to meet with Keene. Question, did they design this box especially for him? Are other criminal masterminds held there in the interim? Is Reddignton just too good for a normal jail cell, even Hannibal Lecter was kept behind bars and he was a serial killing cannibal. Which brings me to my second point of why I didn’t like this show, it’s unoriginal. An intelligent male criminal mastermind wants to speak with a young fairly good looking female novice profiler, sound familiar? Well it gets better, during their second meeting, Reddington tells Keene that she needs to give something to get something. HOLD IT. Quid pro quo Clarice! This is where I stopped watching because it sounded exactly like “Silence of the Lambs” especially when Keene started talking about a tragic event within her youth. Done. Not interested. So, if you haven’t seen “Silence of the Lambs” and believe that the F.B.I. will just pull out all the stops whenever possible, then this show is for you. If you, like me, like a little taste of reality in your shows, then just change the channel.